Follow your dreams… How many times have we heard, read, or been told to follow our dreams? So much easier said than done. Especially when you have people telling you to follow your dream and with the next breath limiting your dreaming capability. I have always always always wanted to live outside the box. Do things that go against the grain, not follow the safely beaten path. However, people around me have consistently talked me out of my desires and aspirations through trying to be supportive and giving me their versions of what I am capable of. I understand,completely understand they are giving this advice from a place of caring concern, but in the end it has damaged me. Living up to their expectations and letting my ideals be replaced and usurped has caused me to live an inauthentic life. I never really wanted to get married. A long time ago (in my early twenties) the man I eventually married asked me where I saw myself in 5 years.. I said “thin and fabulous”. Eventually we got married (which was his 5 year plan) and I ended up fatter than I had ever been and living a life less fabulous. What a jip! Even my parents are responsible for replacing my dreams for versions of their own. There was a time when I wanted to go into psychology; I knew early on I had a talent for it. Instead my father talked me out of it saying there was “no money in it”. I went on a trajectory, which was a more solid financial route. I know he was concerned about me being able to support myself, however the years wasted careening about going from job to job rather than doing exactly what my soul wanted me to do, cannot be recouped. I have so many regrets in regards to what I call the “lost years”. Now I am once again starting to dare to dream again. I feel as if it is the time to start with a clean slate. A new beginning..Older and wiser I can discern between what I truly want to do and the redirection of dreams differed through the good intentions of others. I was never meant to live the stereotypical American dream. Not saying I am more special or different than anyone else. It is just. Well. I gravitate towards the unique, the exotic, the unconventional. My first choices are usually ones people rarely if ever think of. 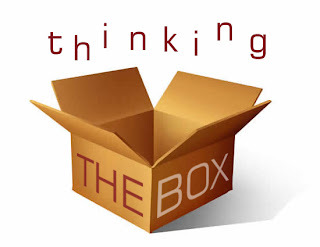 The phrase thinking outside the box was always so hilarious to me because I am not only OUTSIDE of the box on a continuous basis, the box is so far across the room, many times it is almost a mirage to me. I have tapped back into my inner boldness. From now on I am going to focus my energy not on worrying how the hell am I going to fix all the things that are broken. Instead, I am going to concentrate on manifesting my wildest dreams, yet to me, they are not wild at all. They are my inner truths and the reality I was mean to live. I am ready to take the pill now. After all.. Neo wasn’t the only Chosen One.